What are common problems that show up on a home inspection? Repairs negotiations between buyers and sellers are a lot smoother when both sides understand common issues that show up on home inspections. 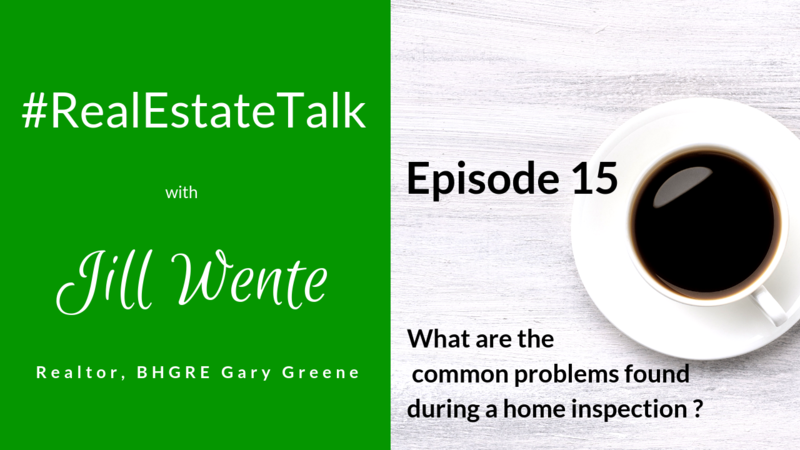 As a buyer, you don’t want to terminate your contract because of issues on the home inspection just to find them on the next home you have inspected. 1. Poor drainage – Drainage is tough to get right. The yard may have some low areas due to lack of gutters. 2. Corner cracks on the slab – Majority of houses in our area have corner cracks on the slab. It’s not an indication of a foundation failure. Corner cracks are due to the house settling. 3. Deteriorating caulk – Caulk is not a product that’s designed to last forever. It deteriorates over time and needs to be applied. 4. Failed window seal – A foggy window is an indication of a failed seal on a double pane window. A failed window seal is more of a cosmetic item as it does not significantly impact energy efficiency. 5. Tree branches to close to the roof – Tree branches are to be a least 4 feet from the roof to avoid causing early deterioration to the roof’s shingles. Homeowners get busy and forget to routinely prune their trees. 6. Failed temperature pressure and relief valves – A hot water water heater’s temperature pressure and relief valve’s useful life is only 3 years. Unless the water heater is less than 3 years old expect this problem to be identified on your inspection report. 7. A/C not within temp differentials – The industry standard for the temperature differentials between the air and supply returns are 15 to 20 degrees. The A/C temperature differentials not within range is a common problem on an inspection report due the different methods in testing. The inspector tests the temperature differentials at the returns. The HVAC technician takes the readings at the A/C unit itself in the attic. The HVAC technician’s method for testing the temperature differentials is more accurate. 8. Electrical issues – There is typically some type of electrical problem on a home inspection. The common issues are double lugging, missing antioxidant paste, hot wires not properly color coded, wrong ground clamp, and non functioning gfci circuits. 9. Garage door automatic reverse not functioning – Garage doors need adjustment from time to time and as such its common for them to be listed as in need of repair on a home inspection.